I’m not going to lie, I love Valentine’s Day. I have never had that *shakes fist in the air* angst about love day. I know it is super commercialized and that it legitimately bothers people that the feast day has been hijacked, but I can’t help it. I love LOVE. The seemingly endless winter can leave us listless and craving sunshine, so this holiday falls just when I am so sick of the dark winter nights that I can’t take it anymore. It is restorative! It is PINK AND RED threw up on everything! It’s candy! It’s love! 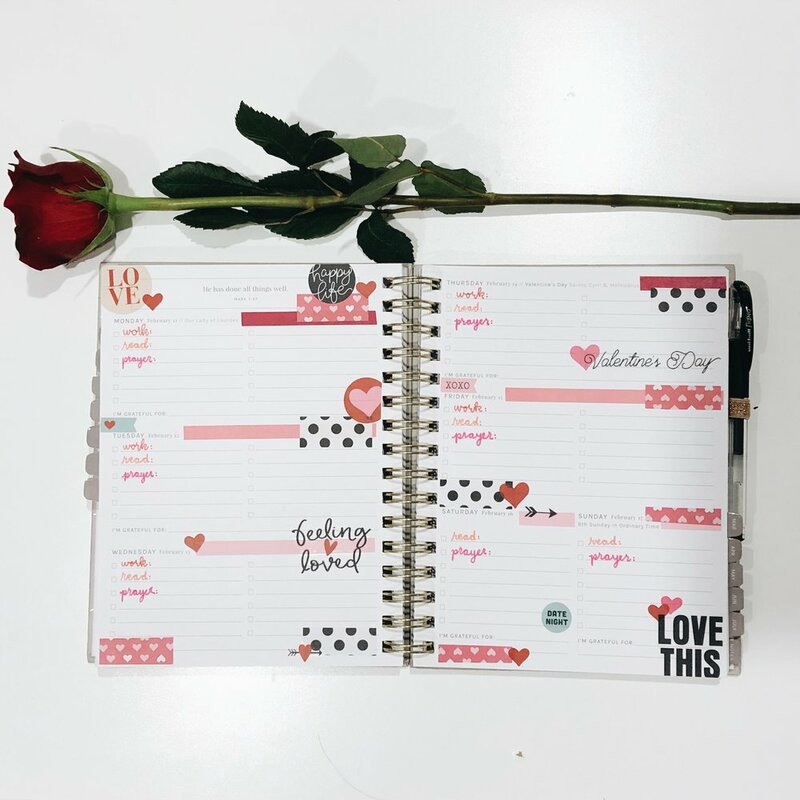 This week’s planner spread is inspired by — to no surprise by anyone — Valentine’s day! 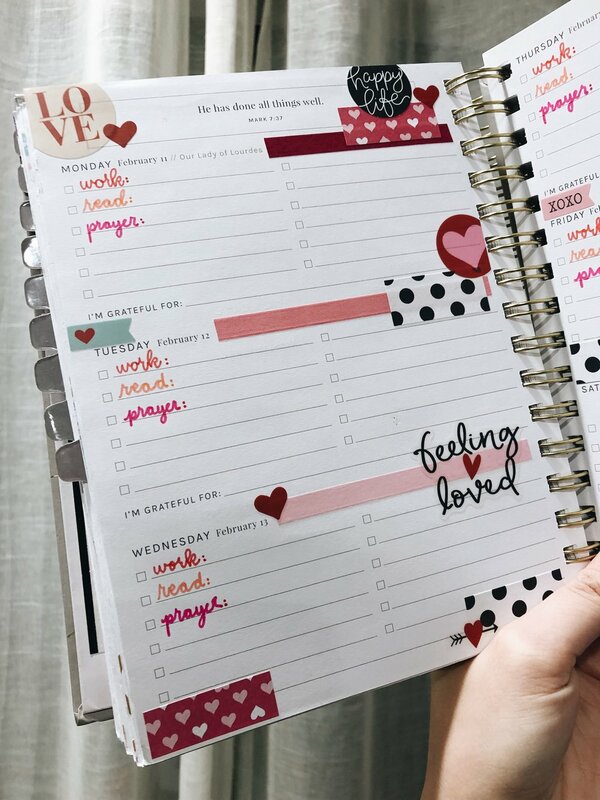 And in other Blessed Is She news, have you seen the Lent Journal bundle!? The Advent and Lent journals sell out every year so you are going to want to get your hands on it. Also, is anyone planning on going to a Blessed Is She retreat this year!? This year’s theme is called “SHINE” and I am so excited to go to the one in Phoenix next weekend. It’s almost sold out so get your tickets! There are also several other locations announced, so take a look.